The Dingman Company handles searches at the Executive Level: Chief Executive Officer/Executive Director/President, Chief Operating Officer, Executive Vice President, Chief Financial Officer, Chief Development Officer, and the functional heads of Sales, Marketing, Human Resources, IT, Manufacturing, Operations and Legal. We also serve the needs of the Board of Directors/Trustees to find board candidates, provide board training, assessment and counsel on succession planning, compensation and strategic planning. The Alisal Guest Ranch & Resort – Alisal is a boutique resort located thirty-five miles northwest of Santa Barbara in the foothills of the beautiful Santa Ynez Valley. Central States Manufacturing – CSMI with headquarters in Lowell, Arkansas is among the leading fabricators of high quality steel building products in the United States. 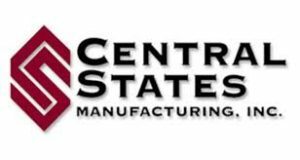 Central States Manufacturing – Among the leading fabricators of high quality steel building products in the Central United States. DaySpring – the world’s largest producer of Christian greeting cards and recognized leader in inspirational gifts and stationery. Empire Electric – A $265 million utility, serving Missouri and other parts of the Midwest. Grand Pacific Resorts – The oldest and largest vacation ownership company based in Carlsbad, California managing 14 properties in San Diego, Lake Tahoe and Hawaii. Harbor Retirement – A Florida-based senior living provider specializing in the development and management of independent and assisted senior living properties and skilled nursing communities. Herschend Family Entertainment – Owned by the Herschend family through the third and fourth generations is a $250+ million themed entertainment enterprise that operates or partners in 20 properties in 8 states. Jones Lang LaSalle – A financial and professional services firm with more than 30,000 people in 750 locations in 60 countries that specializes in real estate services and investment management. LA Auto Show – One of the most influential and prestigious auto shows in the world. Mercy Hospital Cadillac – Provides quality medical care to more than 65,000 residents in Cadillac, Michigan area. Napili Kai Beach Resort – An upscale independently owned and managed beach front resort hotel and condominium project in Lahaina, Maui, Hawaii. Pleasant Holidays – One of the top travel wholesalers and a leading company in the travel industry. Headquarters is located in Southern California. The Royalton Hotel – A four-star hotel in Shanghai, which is one of the largest most sophisticated cities in the world.